If you read my prior blog entry, you’ll see that I discussed some things to keep in mind when resigning from your job. This topic was spun from the topic of this week’s radio show: Creating an Exit Strategy. Leo, John and Carl tackled this topic from a standpoint of business ownership. 1) Think of yourself first. While you still have access, make sure to gather pertinent content that will add value to your resume or portfolio, such as sales numbers, production numbers and other relevant facts. Let me stress that I am not encouraging anyone to take confidential or proprietary information from their employer, but rather, open information that will support you in your career advancement. The very moment you turn in your notice, it’s quite possible (and likely) that you will lose access to your computer files so gather this information before, not afterwards. 2) Give your manager a heads-up the day before you plan to resign. This will give your manager time to prepare for the conversation, rather than blindsiding her. It also gives you the chance to calm your nerves, yet sets a definite deadline for the conversation. You can’t put it off if your manager has already scheduled the time! As a business owner, I recently had the amazing opportunity to turn two of my former employers into clients. That wouldn’t have been possible if I had left on a bad note! It was so interesting to interact with these two people again, but our roles were completely reversed. Both of my former managers are great people – in life and in business – and I was honored to work with each of them. Every week, I contribute to an online radio show; my area of expertise is Career Advancement. Our topic for next week is How to Keep Your Business Running, Without Letting Your Business Run You Ragged. 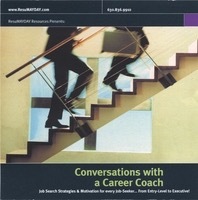 My part of the discussion will be on conducting an effective and strategic job search – while you are still employed. The topic of today’s radio show is creating an exit strategy. For Leo, John and Carl, this will mean creating an exit strategy from your own business, whether you are selling it or closing it. For my portion, I’ll be talking about an exit strategy for employees. Sometimes, leaving gracefully can be difficult and depending on the circumstances surrounding your departure, it can be sooooo tempting to give everyone a piece of your mind. It’s like a break-up…lots of emotions are floating around. I would encourage everyone, even in the craziest of situations to take the high road and not burn those bridges. I’ll talk a little bit about strategies that will leave your managers talking how professional you were, long after you’re gone. Check back here in a few days; I’ll recap the strategies discussed on the radio show. I attended WLE’s conference yesterday at the Schaumburg Ikea. I met some really wonderful people and saw a few familiar faces (hi Kathryn and Mattine!). All in all, it was a great day and I thoroughly enjoyed my time. However, I have to wonder if I’m the only person who wishes that more emphasis was placed on business strategies, rather than family issues. I understand I was in a very large room filled with lots of moms. I get it, I really do. But the opposite is true of conferences or events that host women and men. Why is that? My first break-out session was about marketing and generating referrals. Yet the speaker spent the majority of her presentation giving analogies about her daughter and grandmother. Would she have done that in a room full of men? Probably not. So why the need to speak to a female audience in a different manner than a male audience, especially when there are so few women who are in C-level positions of major corporations? I just don’t get it. I’m not a communications or psychology expert so I can’t say that one is right or wrong and as long as business still gets done, value exists in both. Right? On another topic, I was one of the fortunate few who walked away with a gorgeous gift basket from Ikea. My basket had a TON of cooking items. (Here ya go, Dan!) The first thing I opened was the Ikea cookbook for their Swedish meatballs, which are amazing. I was shocked, and then not shocked at all to find that all the measurements are in metrics. How much is 250 grams of minced pork? When do I stop pouring to get 3 DL of cream? I seriously felt like Spinal Tap trying to figure out military time. My next google search: metrics vs. english. You should have seen my two dogs looking at me while I held the whisk and spatula. I think it was a new experience for them. I am the moderator of a Yahoo group called the Chicago Women’s Network, or Chicwomen. If you’d like to join and make great connections, go to Yahoo / Groups and search ‘chicwomen’. From there, you can introduce you and you company, ask for job search advice, post an event or discuss any other topic. If you are not familiar with this type of format, our group is a great one to start with – a very friendly group. Once you join, you can invite your friends or coworkers to do the same. Hope to see you there!